On 9 December I attended a one-day seminar entitled Assistance and capacity-building in the context of UN Security Council Resolution 1540, Disarmament and Non-Proliferation in Addis Ababa, Ethiopia. It took place in one of the committee rooms in the old building of the African Union Commission. It had none of the trappings of many modern high-tech venues, but offered all amenities one can wish for during a day-long meeting: an electricity plug under the desk (a civilisational advance that has yet to reach the main room for meetings of the Biological and Toxin Weapons Convention, or BTWC, at the United Nations in Geneva), internet access, soothing brown background colours of wood-panelled walls, and—most unusual nowadays—daylight. Two pyramidal domes in the ceiling let in glorious sunshine and skimming light entering through the rows of windows running the entire length of the back wall softened the sharp contrasts thrown by the sunrays from above. Even in the late afternoon when a diffuse darkness was gradually filling the committee room, the rays of a setting sun lit up the roofs of nearby buildings in a colourful backdrop to participants exchanging final impressions of the day’s discussions. The seminar organised by the African Union and the Pretoria-based Institute for Security Studies (ISS) aimed to map out the many initiatives underway to assist the African continent with meeting its obligations under various UN Security Council Resolutions and multilateral global and regional treaties limiting the acquisition, possession and use of non-conventional weapons. As good as the entire day was structured around a new publication by the ISS entitled CBRN [Chemical, Biological, Radiological and Nuclear] Assistance and Capacity-Building Programmes for African States. Written by Annie DuPre and Nicolas Kasprzyk, the 95-page directory gives a detailed overview of worldwide providers of assistance, be they states, international organisations or civil society entities. The seminar also built on a major conference convened by the African Union on 6–7 April 2016 to review the implementation of UN Security Council Resolution 1540 in Africa. Some 40 people attended, just under half of whom were representatives from local embassies of African states. Other participants came from global and regional organisations and specialised agencies involved in assistance and capacity-building in support of disarmament, non-proliferation and counter-terrorism, or had long-term expertise in relevant fields. While I had been aware of several initiatives, the range of organisations running such programmes took me by surprise. Besides entities such as the African Union, the UN Regional Centre for Peace and Disarmament in Africa (UNREC), the UN Interregional Crime and Justice Research Institute (UNICRI) in collaboration with the EU CBRN Centres of Excellence, many other international bodies are also deeply involved. 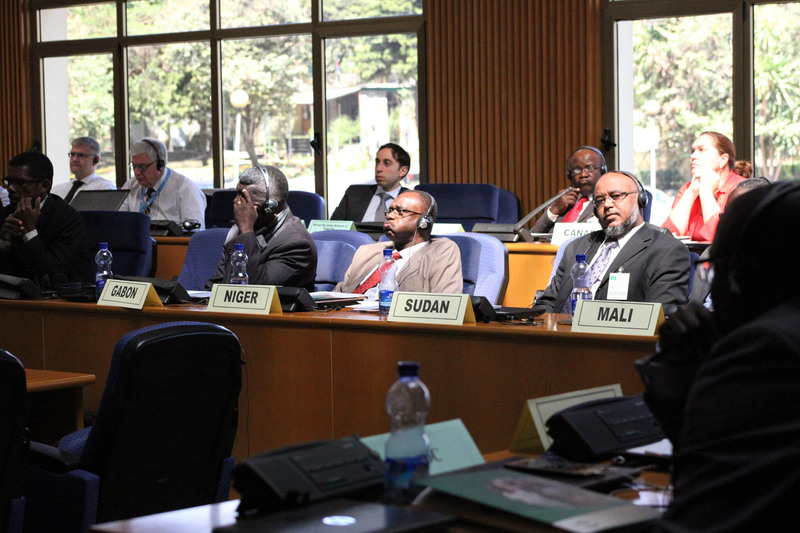 Among those presenting overviews of their activities were the Inter-Governmental Authority on Development (IGAD), an eight-nation cooperative arrangement in East Africa whose role in non-conventional weapon control is rather unexpected, but explicable in view of the security situation in founding member Somalia; the African Biosafety Network of Expertise (ABNE)—a specialised branch of the African Union’s New Partnership for Africa’s Development (NEPAD); and the UN Office on Drugs and Crime (UNODC) that also works on the prevention of terrorism. My former colleague, Alex Lampalzer of the BTWC Implementation Support Unit, and I reflected on the outcomes of the BTWC Review Conference last month. Another colleague of mine at the Paris-based Fondation pour la recherche stratégique, Emmanuelle Maitre, spoke on progress in the universalisation of the Hague Code of Conduct (HCoC) against the proliferation of ballistic missiles. UNSC Resolution 1540 was definitely the organising principle, not just of the seminar, but of many of the initiatives undertaken across Africa. After its adoption in 2004, authorities in several African countries were sceptical of the new obligations: having been handed down by the Security Council they viewed them as undue interference in domestic affairs by the UN body. In addition, so they argued, the resolution placed additional strain on already limited human and financial resources. Attitudes gradually changed, not in the least because of the generous investments by the international community in programmes to help UN members meeting these obligations. Moreover, Resolution 1540 began linking up with related initiatives (e.g., ones advancing biosecurity and-safety or global health security) and efforts undertaken in support of international treaties, such as the implementation of BTWC Article X. Governments in Africa began to discern tangible benefits from the programmes that also enhance national capacities to address or mitigate emerging threats. The flush of money, however, also meant that quite a few international and non-governmental organisations developed an interest in the topic and set up specific programmes. Listening to the various presentations, this insight arose gradually: the speakers representing different international bodies described rather same and occasionally overlapping activities covering the various non-conventional weapon categories. They also reported similar issues, the most notable one being their call for national focal points in each of the target countries of their activities. In and of itself, this call is unsurprising. The Chemical Weapons Convention (CWC) requires states parties to establish a National Authority, which besides some specific responsibilities concerning treaty implementation, also acts as the state party’s focal point for interaction with other states parties and the Technical Secretariat of the Organisation for the Prohibition of Chemical Weapons (OPCW). Today, out of 192 parties, four still need to set one up. However, it took many years of intensive efforts to reach that high number. The BTWC has no international organisation and the treaty text does not foresee in a similar national structure. The 6th Review Conference (2006) decided that each state party should designate a national contact point to coordinate national implementation and communicate with other states parties and relevant international organisations; prepare the submission of confidence-building measures (CBMs); and facilitate information exchanges regarding efforts in support of treaty universalisation. However, by mid-December 2016 only 110 out of the total of 178 parties have notified the ISU of such a national contact point. As I have been able to experience firsthand when preparing the four regional workshops in preparation of the 8th Review Conference on behalf of the ISU, the absence of such a contact point seriously complicated speedy communications as all questions had to go through the mission in Geneva until a local official had been identified. Do the national focal points as mentioned in the presentations serve all initiatives, or does each assistance programme or organisation have its own? What workload do the initiatives undertaken by different international organisations place on the national focal point or national administration? How do the initiatives match up with the demands from formal treaties (including the BTWC and CWC)? What degree of specialisation is required by the national focal point or international organisation to implement the many projects and programmes? Speakers seemed to have mixed views on whether the multitude of national focal points is problematic or not. They tended to differentiate between functions of the international organisation delivering the assistance, on the one hand, and the organisation of such assistance in recipient state, on the other hand. From the perspective of the international organisations, it was argued that the programmes—particularly those in support of UNSC Resolution 1540—target different arms categories and therefore have to interact with different interlocutors inside the recipient countries. Furthermore, each international organisation or agency has a specific mandate. They may also function on different levels of local administration. Both elements also lead to the need for different local contact points. From the perspective of the recipient country some representatives from international organisations accepted that the many different local focal points do not necessarily make for an ideal situation. However, they also did not view the situation as particularly problematic, because each one of those local interlocutors may be dealing with different aspects of the subject matter. One speaker even indicated that depending on the issue at hand he may have to contact different ministries or agencies. One seminar participant raised an important practical problem in connection with the selection of a national focal point: at what level within the administration should such a person be placed? If this person is too high up, then he or she will be difficult to interact with; if too low, then he or she will only have limited impact on national action. Reflection on the latter comment in relation to the other meeting discussions while writing has just now made me realise that I may have witnessed a confusion of tongues: some people seem to equate ‘focal point’ with (personal) ‘contact’. To them ‘national’ in the context of focal point means ‘inside the target country’, not ‘representing the target country’ in relation to international organisations or other assistance providers. Towards a consolidation of initiatives in Africa? Lack of resources is a recurrent complaint from African countries one hears at BTWC and CWC meetings when lagging treaty implementation is raised. Yet the continent is bustling with activities. The OPCW has now for many years run a programme to strengthen cooperation with Africa. Donor states, foundations and international organisations fund capacity-building programmes or supply specific technologies that augment regional and local security and safety, enhance capacities for monitoring and detecting incidents and disease outbreaks or dealing with their consequences. Border controls, sea- and airport security, protection of critical infrastructure, and tracking of internal and international technology transfers all feature high among the priorities. 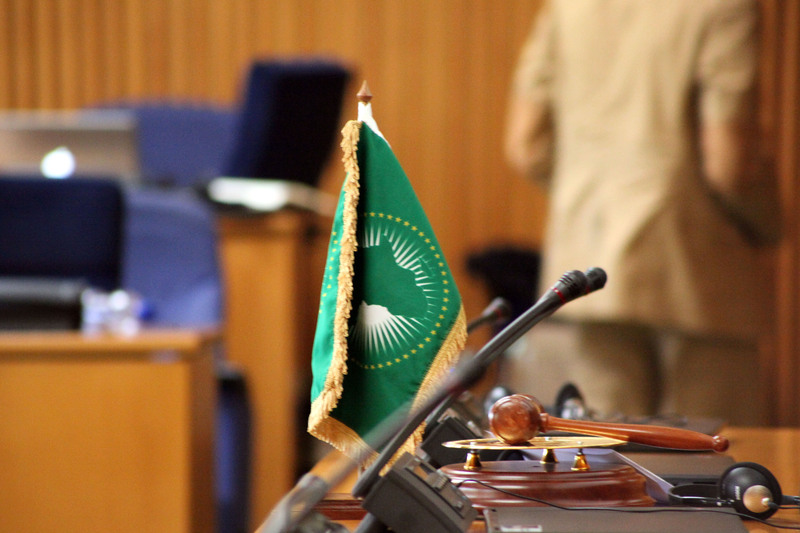 The African Union has become increasingly instrumental in pressuring its members to fulfill their national responsibilities under global and regional disarmament and non-proliferation, as well as counter-terrorism instruments. As I have mentioned in my previous blog post, Africa has been catching up over the past decade. But there are still gaps. 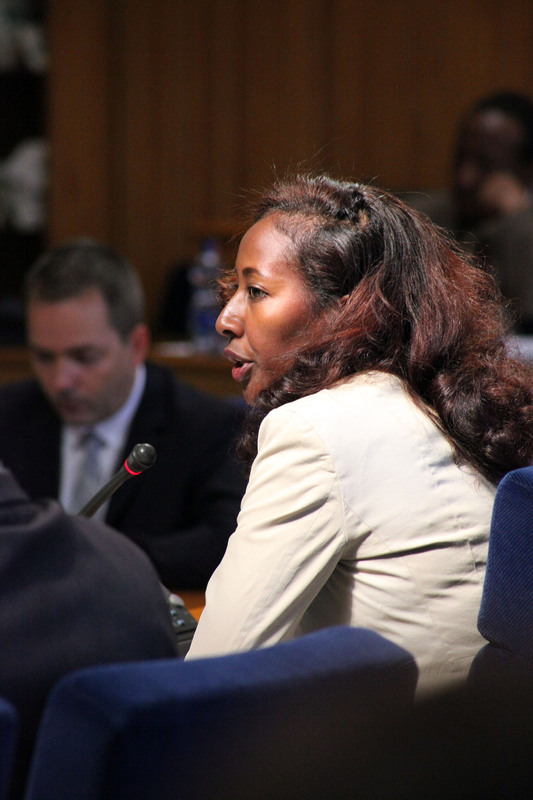 A key question that the seminar in Addis Ababa did not address—it would have required a different type of agenda for that—is how national administrations structure themselves to avoid duplication, preserve institutional memory, and sustain enhanced capacity levels should current levels of international support drop as a result of the success of the assistance programmes or other events? Another important question is whether and how the national administrations transfer the insights and experiences to society at large. Are scientific and professional communities coopted to prevent the misuse of science and technology? Are institutions, companies and factories if not compelled, then encouraged to meet higher security and safety standards in line with the demands of the international agreements? Who develops, oversees or enforces those higher standards? What are the consequences of failing them? The seminar did not discuss whether such internal changes are taking place. Chances are that they are, but it is quite possible that progress is uneven whether across issue areas or countries. The seeming proliferation of national focal points suggests internal fragmentation of efforts. By running their separate programmes international assistance providers may unconsciously encourage such fragmentation. From the African Union–ISS seminar I take away that there is ample scope to enhance and consolidate interaction among national departments and agencies to facilitate receipt of international assistance, multiply their effects and share experiences and resources across national sectors, and enhance cooperation with other African states. Providers may also see the impact of their assistance rise if they were to insist on an integrated national focal point involving all relevant departments and agencies for all disarmament and non-proliferation policies. Indeed, such an integrated focal point is much more likely to reach out successfully to the relevant stakeholders in society to uphold the norms against CBRN in daily life.